Science is the most important human endeavor to emerge from our long and dubious history. 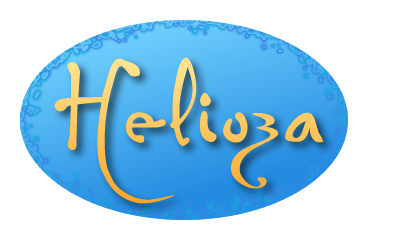 It has explained our world, how we behave (and misbehave), improved our lives beyond measure and it will eventually take us to the stars. While I love science fiction, I think non-fiction writing is even more important. The more children become turned on to science, the faster our civilization improves. The more people understand and appreciate the scientific method, the more we understand and tolerate each other. Ignoring and discounting knowledge is the way to anarchy and oblivion for humanity. Supporting and embracing science is the only way forward, to the stars and beyond. The Hubble Space Telescope is a marvel of twentieth-century technology. Though it suffered through rejection and disdain for one visible flaw in the optics, the repaired telescope blew everyone away with the magnificence of its deep-field observations and stunning images. Hubble opened up new fields in astronomy and the discoveries just keep rolling in. Who says science isn’t fun, that it’s too hard, that it’s bad? Not me, and that’s why I wrote the non-fiction book Galaxy Field Guide For Kids. The Galaxy Field Guide For Kids is filled with the best and most interesting photos of galaxies from the Hubble Space Telescope. These are galaxies every kid will love. No one can resist the Sombrero galaxy or the Fried Egg galaxy. Tucked in among the fun stuff are brief lessons on astronomy. 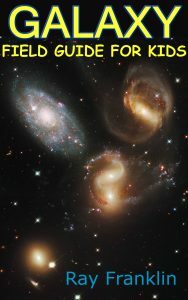 Kids will learn about light-years and types of galaxies and have a great time doing it. 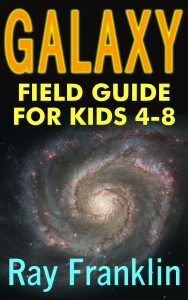 For younger children, try Galaxy Field Guide For Kids Age 4-8. It’s written more simply, with shorter sentences and fewer big words. It has 25 beautiful photos of galaxies. The image selection emphasizes identifying galaxies visually. Each photo is an excellent example of each galaxy type, and easy to see.